Here are the current travel deals being offered. Please let me know if I can provide a FREE quote for you. There are Disney Discounts that can save you on your Disney Resort Room as well as Disney vacation packages that can save you money on your entire Disney Vacation, including your Disney on property resort room, your Disney park tickets, and the Disney Dining Plan. Are you active or retired military? If so, contact me for special pricing offered just for you and your family. Let’s get started planning your Disney vacation. Here are some of the available offers. Contact me for details. A Walt Disney World vacation is a great way to reset and recharge after the holiday hustle. Don’t miss this opportunity to save up to 20% on rooms at select Disney Resort hotels for stays most nights January 3 through April 27, 2019. With so many unique and exciting things for you to discover at all 4 theme parks in the new year—NOW is the best time to book your 2019 getaway. When you add valid theme park admission to this room offer, you’ll be able to play big in Toy Story Land at Disney’s Hollywood Studios, soak up a variety of new, limited-time experiences at Magic Kingdom park and explore the ultimate celebration of food, art and entertainment at the Epcot International Festival of the Arts. Book through April 27, 2019. Contact me for details. To Book please fill out a quick quote request HERE! Guests can enjoy sun, fun and savings when you stay in the middle of the magic at Walt Disney World Resort! 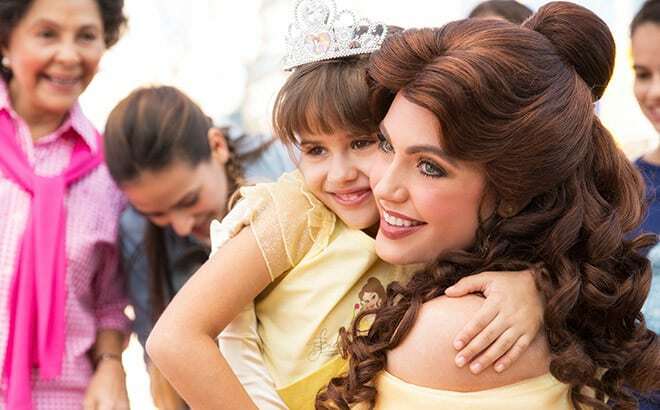 With a 4-Park Magic Ticket, you can experience the excitement of all 4 Walt Disney World theme parks, including beloved attractions, entertainment and Character interactions. Plus, delight in can’t-miss experiences that make NOW—more than ever—a great time to visit. A 4-Park Magic Ticket includes one admission to each of the Walt Disney World theme parks (Disney’s Magic Kingdom park, Epcot, Disney’s Hollywood Studios and Disney’s Animal Kingdom theme park), for a total of 4 admissions. This ticket can be used to enter each theme park only once. Limit one admission per theme park, and one park per day. All tickets and options are nontransferable and nonrefundable and exclude activities / events separately priced. No credit or refund will be given for higher-priced tickets used on lower-priced dates. and summer dates for 2019. Explore full details about 4-Park Magic Tickets, including usage dates and pricing for adults and children. Usage Dates: Valid for admission January 18 through March 1, 2019. Tickets must be used within 7 days of first use or by March 1, 2019, whichever comes first. Usage Dates: Valid for admission January 18 through March 14, March 27 through April 9, April 27 through May 27, and August 19 through September 30, 2019. Tickets must be used within 7 days of first use or by September 30, 2019, whichever comes first. Usage Dates: Valid for admission January 18 through March 14, March 27 through April 9, and April 27 through September 30, 2019. Tickets must be used within 7 days of first use or by September 30, 2019, whichever comes first. Celebrate a brand new year by staying close to can’t-miss theme park fun with this magical offer! Savings based on the non-discounted price for the same room at the same hotel for most Sunday through Thursday nights January 6 through April 11, 2019. To take advantage of this special offer, book through March 16, 2019; travel must be completed by April 12, 2019. Must purchase a consecutive 4-night non-discounted stay at Disney’s Grand Californian Hotel & Spa or the Disneyland Hotel. Savings based on the non-discounted price for the same room stay at the same hotel. 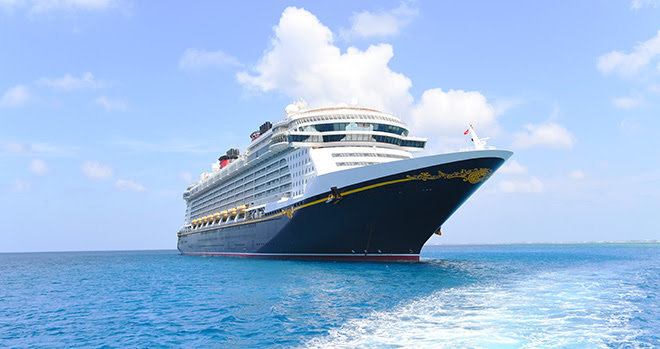 We are now booking 2019 Disney Cruise Line itineraries. The sooner you book the better stateroom selection you will find on these sailings. To Book please fill out a quick quote request HERE! Up to 20% Savings on Select Tropical Cruises from Both Coasts! Save 20% off prevailing rates as quoted on Disneycruise.com for Verandah Staterooms with Restrictions (Category VGT) on two 4-night Halloween on the High Seas Bahamian cruises aboard the Disney Dream. In addition, the 20% savings applies to three 7-Night Very MerryTime Bahamian cruises from Galveston and one 7-Night Mexican Riviera cruise from San Diego aboard the Disney Wonder. Visit an eclectic variety of Mexico’s hottest ports of call on a week-long cruise packed with first-rate live shows, themed pools, kids clubs, signature dining and beyond. Special military rates are limited to a maximum of one stateroom per military member, per sailing. Best of all, you’ll enjoy the legendary hospitality and commitment to excellence that Disney is known for—each and every day of your vacation. To book, contact me today. Rates are per person based on double occupancy in the categories noted. Availability is limited to 50 staterooms per category per sailing. Rates are in U.S. dollars and are not combinable with other discounts or offers. Prices exclude government taxes and fees, gratuities, and Port Adventures. Availability for this offer is limited to 50 staterooms per category per sailing. This offer is limited to a maximum of one stateroom per military member (or spouse), per sailing. A U.S. military service member (or spouse) is required to sail to take advantage of this offer. Active and retired members (or spouse) of the U.S. military must provide valid identification at time of check-in. To take advantage of military cruise rates, at least one adult in each stateroom must provide Proof of Military Service.